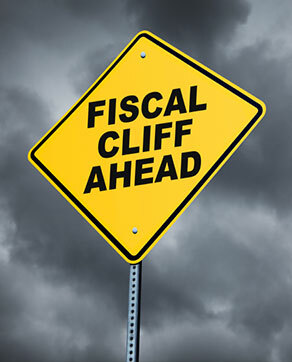 PROTECT YOURSELF FROM THE FISCAL CLIFF ... TODAY! The economic SUPER STORM is now upon us! In just weeks, the United States faces a whirlwind of tax increases, new health care levies and government spending cuts all pointing to a dramatic economic slowdown. Without any direct, congressional intervention, over $600 billion (about 4% of U.S. GDP) in fiscal austerity is scheduled to take effect by early 2013. Three deadly financial time bombs are set to auto-detonate on New Year's Day. This next financial crisis could be far more devastating than the media is reporting. Central banks around the world have embarked upon a gold buying frenzy. The impact of the FISCAL CLIFF will not only be a battered US economy but lasting financial consequences including an economic contraction, de-valuation of the dollar, and millions left unemployed. Get Lear Capital’s FISCAL CLIFF PROTECTION PACKAGE featuring four BREAKTHROUGH publications outlining the lessons of economic history, fiscal crisis management, patterns of currency fluctuation, investment best bets, and the secrets to staying solvent. LIMITED TIME OFFER: Reserve your Package NOW! Get a $50 PRECIOUS METALS GIFT CARD! By submitting this form, I also wish to receive email messages from Lear Capital. In order to redeem your gift card, you must be a new Lear customer making a precious metals purchase of $5,000 or more. This offer cannot be combined with any other offers and the $50 will be applied as a credit against subsequent purchases. Be sure to mention gift card code #2134-915-7012. Copyright © LearCapital.com. All rights reserved.